Finding just the right banquet hall for your engagement party isn’t a simple task. There are so many venues and so very many rules that must be followed. It can make you dizzy shopping and visiting all of these places. But there is one banquet hall that is just perfect for engagement parties of 600 or fewer guests. Whether you’d like your party to include dining, a buffet or a party with a band, Villa Ragusa is the perfect choice for a banquet hall for your engagement party. Of course, you want the venue to be gorgeous. Beautiful buildings enhance the importance of this special occasion. An engagement is a reason to celebrate, almost as much as the wedding reception! You’ve made a very special commitment to each other and are publicly expressing your intent to spend the rest of your lives together. It is a joyous occasion and Villa Ragusa is the beautiful building that will give the impression you want for your celebration. Speak to our event coordinators at Villa Ragusa before setting your date in stone. You want to make sure you have a date that is available on our schedule. Also, we’ll go over some options that allow you to save money on the room, so you can put more of your budget into the entertainment or invitations. For instance you can have your celebration during the week or during a slow time for us. Those dates will rent for far less than a weekend date during a peak period. Give us a call at Villa Ragusa to make an appointment to meet with one of our event coordinators. We will give you many tips on how to have a successful celebration. You’ll love Villa Ragusa as your choice of a banquet hall for your engagement party. 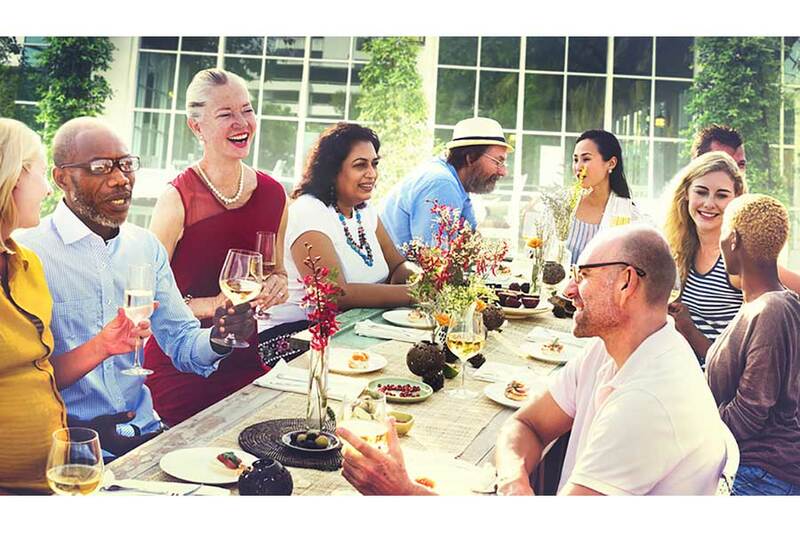 Having a successful banquet depends on important factors such as gauging the professionalism level of your group, matching the menu to the overall lifestyle of the group and appropriate entertainment needs. But the biggest success measurement is the food choice accommodation. You can make some mistakes here and there and as long as they are little ones, like an overall mismatch in the colors and designs of the room, all will be forgiven. But the choices available (or lack thereof) for people with special diets might disappoint some of your hungry guests who cannot find anything at your banquet that they can safely eat. There are a good many diets these days that need to be accommodated at any public gathering. Back in the day, offering a fish entrée to vegetarians was considered to be very forward thinking. Today, not so much. 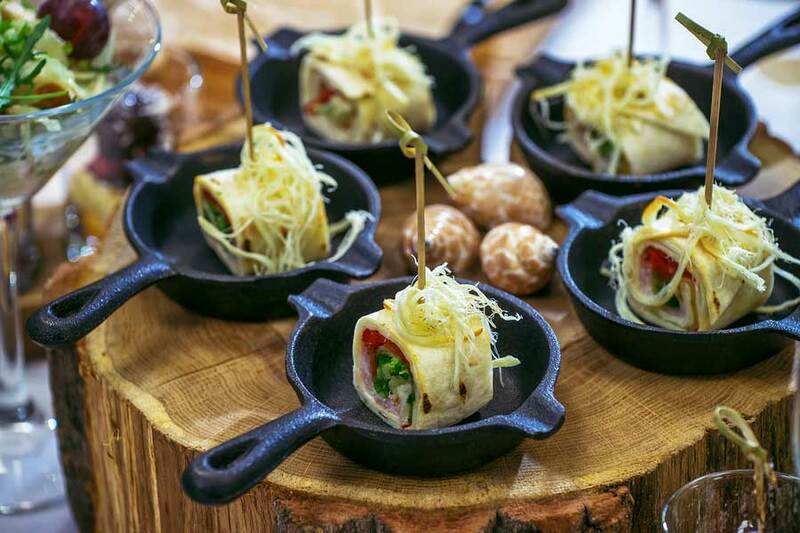 There are so many more dietary concerns and if you want your event to be remembered as a success by the attendees, you’ll need to have a well-thought out menu. The trick to making everyone happy is to find menu choices that cover a lot of different dietary needs. To take care of the kosher, halal, vegan, vegetarian and lactose intolerant all you need to do is to offer an entrée choice that has not a spec of meat or dairy products in them. That is the easiest way to take care of most everyone. Gluten-free is a very common dietary choice these days. Those who have chosen this diet will very much appreciate a gluten-free choice. People who avoid gluten due to a serious health condition won’t plan on eating outside the home. So, you will be offering a typical no grain menu choice for only those who simply prefer to avoid gluten. 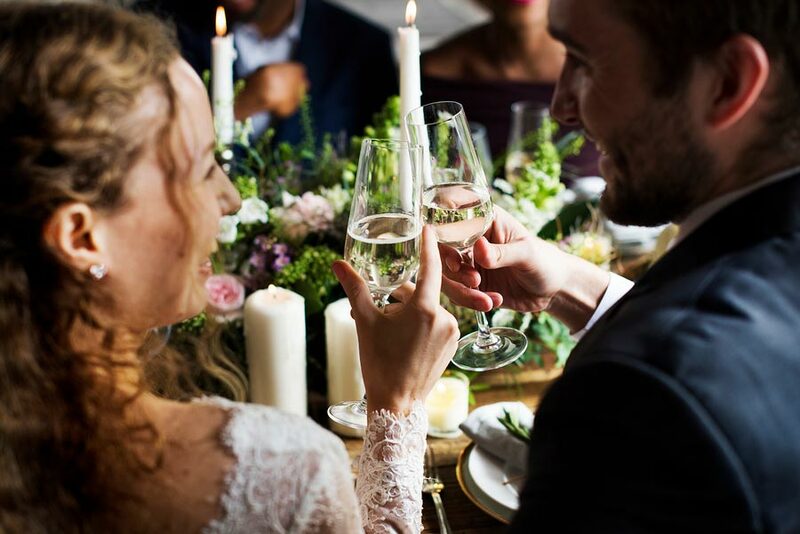 By offering one or two special diet choices at your banquet, you’re sure to have incredibly happy guests who will remember your event as a wonderful one. 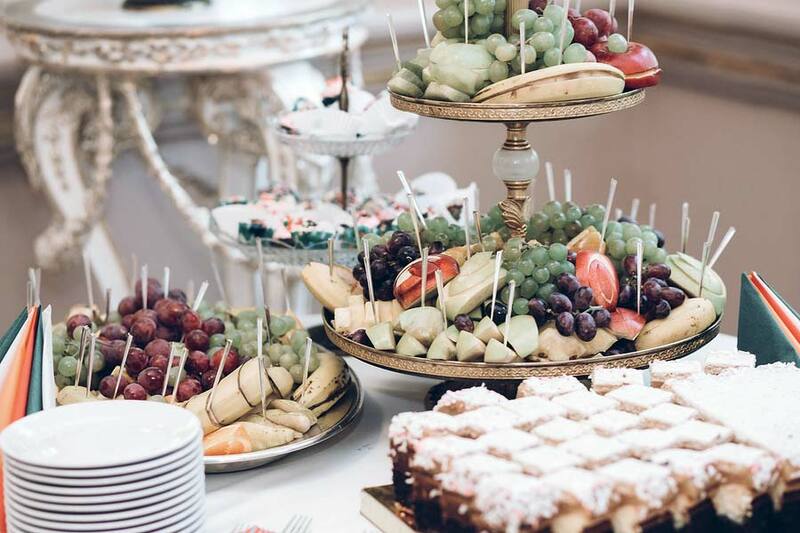 If you’ve been shopping around for a banquet hall, likely you have discovered that you will be required to use the hall’s catering for your event. This is the case whether you enjoy their food selections or not. The good news is that there is one facility that will let you use whatever caterer you’d like the best! Villa Ragusa is a banquet hall that wants to make sure you have your wedding reception or other events exactly the way you want it. The big factor there is the food. We understand that sometimes you will have your heart set on a certain menu or you’ll need a specialized food cooked due to special dietary needs. We want to make sure you have that. 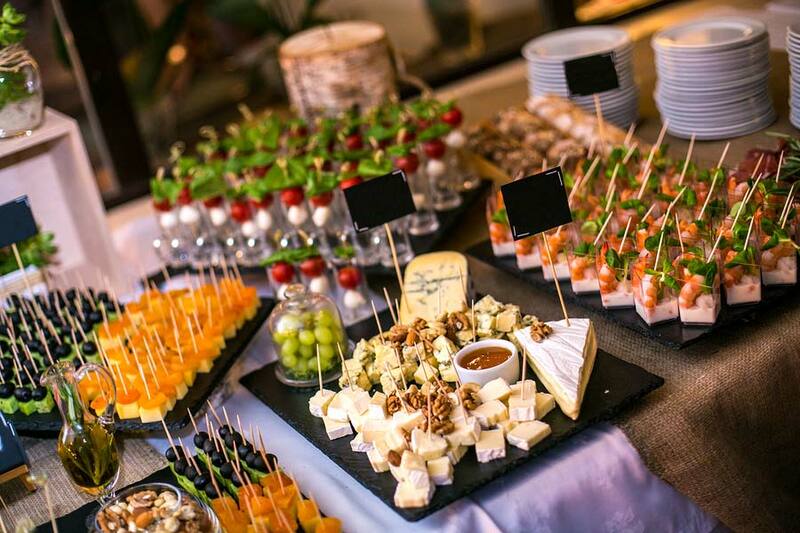 There are some guidelines to be followed when bringing in an outside caterer to Villa Ragusa, but your caterer will be accustomed to these sorts of requirements. Of course, for the safety of everyone at your event, the caterer you choose must be a licensed food handler in the state of California and be a professional caterer. If you plan to use your own caterer instead of the Villa Ragusa on-site caterer, you will need to let us know when you book the event. It is required that the cater show their business license and current health certificate right away. Additionally, they will need to do a walk-through of our facility at least 30 days prior to your event. And they will be required to provide an on-site manager for the event. Please ask for all the requirements for catering when you discuss your event with our event coordinator. We want to make sure your event is wonderful and exactly as you expect it to be. Give us a call today to discuss your wedding reception, party or corporate events. Most attendees see a luncheon for a fundraising event as an exchange. The host gives a nice dinner or evening entertainment and they give a donation. It has become rather routine, so it is time to step up your game and give them an amazing time. Then you’ll receiving amazing donations. Renting a beautiful hall is the first most important step. It needs to be not only beautiful, but luxurious. A banquet room in Villa Ragusa fits that bill. With lightly draped balconies accessible from every room and to be able to sit with friends over a view of the city, it is this extra touch that makes guests’ experience all that much more enjoyable. There are marble accents and mahogany wood features all throughout the Villa Ragusa building. It is a little bit of a glimpse of the architecture of a time gone by. It is perfect for getting guests in a relaxed mood for an enjoyable time. Next, the food. Your caterer needs to be one of the best in the Bay Area. So-so food is going to generate so-so donations. You need to go above and beyond any other fundraiser. Have several courses, all more incredible than the last. And of course, have desserts they’ll talk about for months. Beautiful and delicious foods served at the table is a must, if you’re looking for large donations. The third step to making this the best fundraising luncheon of the year is the entertainment and the guests. Get a couple of big name celebrities to attend your worthy cause. This will ensure your guests will always want to come to your events. Also, have a keynote speaker that is a professional speaker. He or she will need to warm up the crowd, make them laugh, make them think and get them in the mood for the big pitch. After that speaker, have your cause’s main speaker give the big pitch. When planning a luncheon, give us a call at Villa Ragusa. We have one of the most beautiful luncheon halls in the Bay Area. What If the Banquet Hall Won’t Let You Use Your Caterer? It is very common that a banquet hall will not allow any outside catering. And, if some halls find any unauthorized food at your event they’ll give you a hefty fine for each item! Yikes. But, it doesn’t have to be that way. There is a banquet hall in The Bay Area that allows you to use their catering or an outside caterer of your choice. If it is a very special occasion like a wedding reception or an anniversary party, of course you want everything to be perfect and exactly the way you’d like it at the banquet hall. The food is a very big part of your event. Villa Ragusa believes that you should have exactly what you want. Villa Ragusa is just fine with you using your choice of licensed caterers. We do have some guidelines that the caterer will need to follow to make sure everything is done according to health code and they become familiar with our food prep areas. Unfortunately, we are not able to allow home prepared food or food prepared by anyone that is not licensed to do so in California. This is not up to us. We believe you that Aunt Mildred does a beautiful job and would never make anyone sick, however, the law requires Aunt Mildred to have a licensed catering business that has all the proper food handling permits. When you’re planning a wedding, corporate event, or private party, be confident that Villa Ragusa will allow you to use any licensed caterer you choose. You can use caterers for vegan, kosher, halal, vegetarian or ethnic foods, we are fine with that choice. Of course, you can always use our in-house catering, too. When you book your event in our banquet hall, ask about our outside catering policies. You’ve picked out the perfect banquet hall that you will use for your wedding reception. Now, what about the caterer? But first, does the banquet hall allow outside caterers? Almost all do not. Here is what to do. Nearly all banquet halls will require you to use their catering services. But what if you’ve planned your reception to be East Indian cuisine, kosher, halal, gluten-free or vegan? Tough luck? There are ways to solve this problem, have no fear. Okay, maybe a little fear. There is one banquet hall that will allow you to use an outside caterer. This is Villa Ragusa in Campbell, CA. There is one catch and that is your caterer needs to meet with them to tour the facilities, but that is something you want to happen. You want to make sure the caterer you plan to use can function in the kitchen at Villa Ragusa. They can plan around any special need they have. This should be done at least a month in advance of your special day. It is easy to be overwhelmed when planning a wedding. Unscrupulous caterers know they can take advantage of that. So, be alert when caterer shopping and ask a lot of questions. One warning sign that a caterer isn’t a good one is when they didn’t prepare any food or snacks for your meeting. This is their moment to brag about their food, if there are only pictures of food in brochures, you might want to move on to the next name on the list. Villa Ragusa is a banquet hall that works with you, accommodating your catering needs for your wedding. We do have wonderful catering services, but if you want to go another way, we are fine with that, too.